Oh no, the Unicorns have run away! : Is There A Problem Here? : Oh no, the Unicorns have run away! Oh no, the Unicorns have run away! @audiopleb tweets: Nice error message @deployhq but not what i need to see an hour before pottering off on holiday! 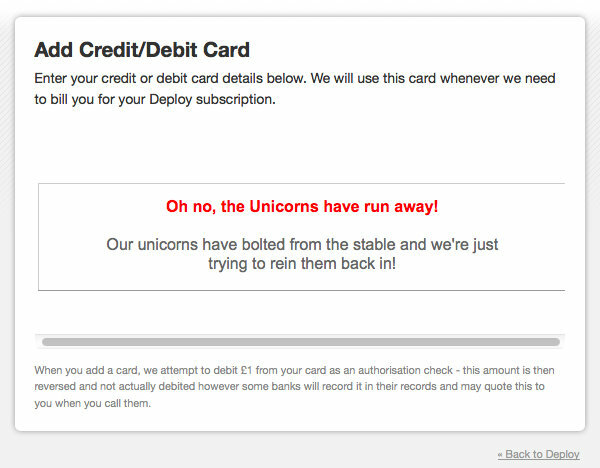 Did the unicorns run away with the customer credit card data?